In case you hadn't heard, "Puppet Master," is the latest single from pop artist Jenefer Siân and it's available to download now via Island Def Jam Digital Distribution. Released May 31st, "Puppet Master" is a slick electropop song, featuring top-notch production, hard hitting beats and beautiful vocals from Siân herself. The song was written by Jenefer along with Matt Sirrine and Wesley Avery, and you can stream the track using the widget below. As I previously mentioned, Siân will forgo the traditional album release, in favor of releasing a single every few weeks through the Spring and summer, culminating in a live performance in LA this summer. "Puppet Master" becomes single #3, following the release of "Call You Out" and "Dead End." Download "Puppet Master" on U.S. iTunes HERE. 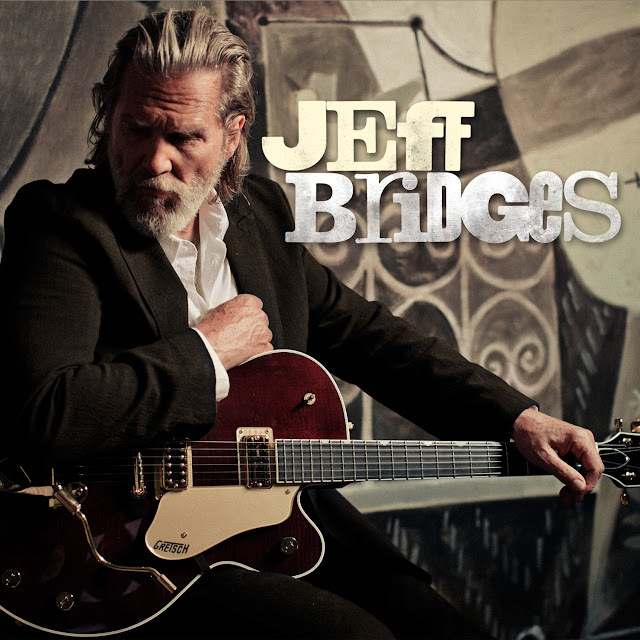 Back in April, I reported that award-winning actor Jeff Bridges had signed a record deal with Blue Note/EMI Records. Well, now I have official word on a release date, tracklisting as well as album artwork. This is pretty awesome, if I don't say so myself. Produced by Bridges collaborator on Crazy Heart, T Bone Burnett, his self titled album is due out on August 16th. Burnett, himself a multiple Grammy Award-winning songwriter, musician and producer, is ready to take his 30 + year friendship with Bridges to the next level...and that next level is a professional singing career. Who would have thunk it? The "Dude" recording an album? I can tell you that I for one, am excited and thrilled. The album was recorded in LA and Brooklyn and features songwriting from a whole slew of talented artists including the late Stephen Bruton and John Goodwin (both of whom collaborated with Burnett on Crazy Heart), as well as Greg Brown and Bo Ramsay. Bridges himself contributed several tracks to the mix, including "Falling Short," "Tumbling Vine," "I Will Wait" (co-written with Burnett and John Goodwin) and "Slow Boat" (co-written with Burnett and Thomas Cobb). As if a team of world-class songwriters wasn't enough, Burnett also managed to get a great band together and some terrific guest vocalists. Joining Bridges on the album are keyboardist Keefus Ciancia, guitarist Mark Ribot, bassist Dennis Crouch, pedal-steel guitarist Russ Pahl and drummer Jay Bellerose. Guests vocalists include Rosanne Cash, Ryan Bingham, Sam Phillips and Benji Hughes. Sounds like a world class lineup if I've ever heard one. No word yet on a single but you can check out the album artwork (ABOVE) and the tracklisting (BELOW) while you wait. Bridges recently appeared on the cover of Esquire Magazine's music issue so see if you can't track that down as well. Ever since I discovered the joy that is "Je Suis Une Dolly" by the Dolly Rockers, I've been eagerly anticipating a full length album from this talented electro-pop trio. Well, with the release of an acoustic version of a new song, it looks like we're getting closer to this becoming a reality and I am counting down the minutes until the official release. The Dolly Rockers exploded onto UK televisions in 2006, competing on The X-Factor and making at as far as the "judges' house" before being cut. While this defeat might have squashed other's dreams, the Dolly Rockers plowed on ahead, managing to land a record deal with EMI Parlophone. Their infectious brand of "wonky pop" or "drunk disco" lead to the runaway success of first single, "Je Suis Une Dolly," aided in part by a cheeky video shot on the London Underground. With all of the buzz surrounding the girls' first single, the label quickly released a follow up, "Gold Digger," which failed to ignite the UK Singles chart, peaking at a paltry #46. Plans for an immediate album release and follow up single were scrapped and the girls went back to the drawing board. The Dolly Rockers reemerged in the Fall of 2010 with news that they had signed a U.S. record deal with up & coming label/production company, RedWalk Productions - a joint venture between mega-hit producer RedOne and former Epic Records President, Charlie Walk. Since October the girls have been getting busy in the studio, making hits and keeping in touch with fans via Facebook and Twitter. The girls recently launched an E-Newsletter, chronicalling their progress in the studio as well as their latest style tips and maybe a few celebrity crushes. In one of the more recent updates, the girls uploaded an acoustic performance of a new song, "Spin The Bottle," which you can watch below. What I love about this performance is that it showcases each of the Dolly Rockers' vocal talents. All that's missing is the dance club production that you know RedOne is going to bring to the final, recorded version of the song. As amazing as both previous singles were, they really only showed us how much fun the Dolly Rockers were, never really unveiling too much in the way of talent. If you haven't got the chops, an acoustic performance really does showcase an artist's shortcomings. The Dolly Rockers, evidently, have no shortcomings. Bring on the album girls! Subscribe to The Dolly Rockers' Mailer HERE and make sure you check out their new YouTube channel for all the latest Dolly Rockers videos.